A 12-Week Online Coaching Programme for writers and aspiring novelists who are ready to put the first draft of their novel together within 90 Days. Yes it is possible! You want to write a novel. It’s always been a desire and a dream to write a story, and hold your own published book in your hands. Lately, you’ve been thinking about it. Maybe you’ve even written down a few thoughts and ideas. But – you’re not sure how to proceed. You may be feeling overwhelmed with the thought of writing so many thousand words. You’re wondering if you can write something that other people will want to read. You’re not sure how to structure the story, or even how to create interesting characters. The task ahead feels so daunting, that you bury the thoughts and procrastinate on achieving your dream. If this sounds like you, don’t worry you’re not alone! Many aspiring authors feel this way too. A lot of people want to write a novel, but they feel like they don’t have the right support, the right information and the right accountability to move them forward. That’s why I’ve designed this coaching programme – to help writers like you! I’m your “get unstuck” writing coach, and it’s my job to help you burst through any obstacles, so that you can finally start writing your story with clarity and confidence. ♦ you are no longer in the excuses zone – this is going to happen! The key aspect of this programme is support and accountability. If you’re trying to write a novel on your own, there will be days when you get discouraged, overwhelmed or tempted to quit. Sometimes, you may get distracted, start making excuses and slack off. And chances are, the longer you slack off, the harder it is to pick up from where you left off. But on this 12 Weeks To Your First Draft coaching programme, every week you’ll get lessons and tips to move you forward. You’ll get feedback on the progress that you’ve made so far, and encouraging ideas to help you move past your doubts. You’ll get writing prompts and exercises to keep your words flowing and break through writer’s block. You’ll get advice to help you discover your own writing voice and potential. You’ll get support and helpful weekly targets to help you stay on track. By the end of the course, you’ll realise that you were able to do it and not only that, you actually enjoyed writing your book! Where do your ideas come from? How do you pick a good idea for your novel? How do you know which ideas are worth your time? We’ll go through how to separate good ideas from boring ideas. Lesson 2: Who is your audience? Who are you writing for? Do you want to write a novel that young children will enjoy, or do you prefer to appeal to a bored housewife? Will your target reader be a lawyer living in the city or a university student? How will you appeal to your ideal reader? Lesson 3: What genre are you writing in? Do you know what genre, (if any) your story falls into? Do you understand the rules and expectations of each genre? We will go through the broad genres such as romance, sci-fi, thrillers, horror, and also sub-genres and crossovers. How do you create characters that are unforgettable? How do you create characters that your readers can relate with? Who is the protagonist in your story? Who is the antagonist? How do they change as the story progresses? What are the motives of your main characters? Who is your narrator? Whose point of view should the reader see? Are you writing in first person, or third person? Are you writing with multiple points of view? When and how do you switch between them? Now you’ve created your characters, and you know which point of view we’re writing from, you need to have a plot and lots of conflicts for them to solve. How do you weave a compelling script that keeps your readers hooked? Writing your synopsis will give you an overview of the whole story from beginning to end. Then you need to break it down into chapters, and that’s where your outline comes in. We’ll go through the need for a comprehensive outline and how it is very important for completing that first draft. Why you should conduct research to make your story more credible. This week we’ll be working on the key aspects of your story that creates a believable world, and moves the story forward. How to write descriptions that create a vivid picture in your reader’s mind, how to write dialogue that engages the reader and is true to the character, how to set your story in the right place and the right time,and the common mistakes to avoid.How to weave your research into your story so that it adds to the richness of the plot and does not distract the reader. Now, we’re in the middle of writing the story. How do you balance out the elements of description, narration and dialogue? You don’t want your reader having to wade through pages of description before any action happens, and you don’t want to overwhelm your story with too much narration either. You have to let your characters speak, but how do you get their voices to be distinct enough? Everyone deals with creative blocks from time to time. We’ll go through some tips for removing blocks and overcoming the fear of the blank page. And what to do to keep pushing until you type “The End”. Congratulations! Now you’ve finished writing your first draft. What do you do next? We’ll go through the necessary next steps that includes a lot of crossing out and editing, then how you can start preparing your work for publication. Bonus Lesson: Feedback and Word Count Target – Using all the tips and techniques from the previous week, try to add at least 5000 words to your manuscript. ♦ Imagine cutting through all the confusion, doubts, second-guessing and writer’s block. ♦ Imagine feeling confident about your work – finally. 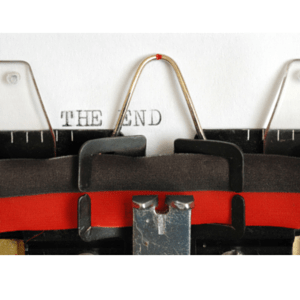 ♦ Imagine the huge sense of accomplishment you’ll get as you type “The End” when you finish your manuscript! ♦ Imagine holding your very own published book in your hands in a few months time. ♦ Imagine having the title “Author” at the end of your name. ♦ Imagine seeing your name and your book come up on Amazon! All this is possible if you take the right action now! Even if you don’t have loads of time. Even if you think you can’t write as well as your favourite author. Even if you’re worried that you have held yourself back in the past. Sign up for the 12 Weeks To Your First Draft online coaching programme for writers and start working towards your dream today. So why do I need a writing coach? get clear about your goals – why you want to write, who you want to reach and how to achieve those goals. create a system for: taking action each week, having accountability to support your success, addressing any challenges you’re having in meeting your goals and overcoming any roadblocks to achievement. provide feedback on your writing. make the process easier, more fun and more effective. Hi! 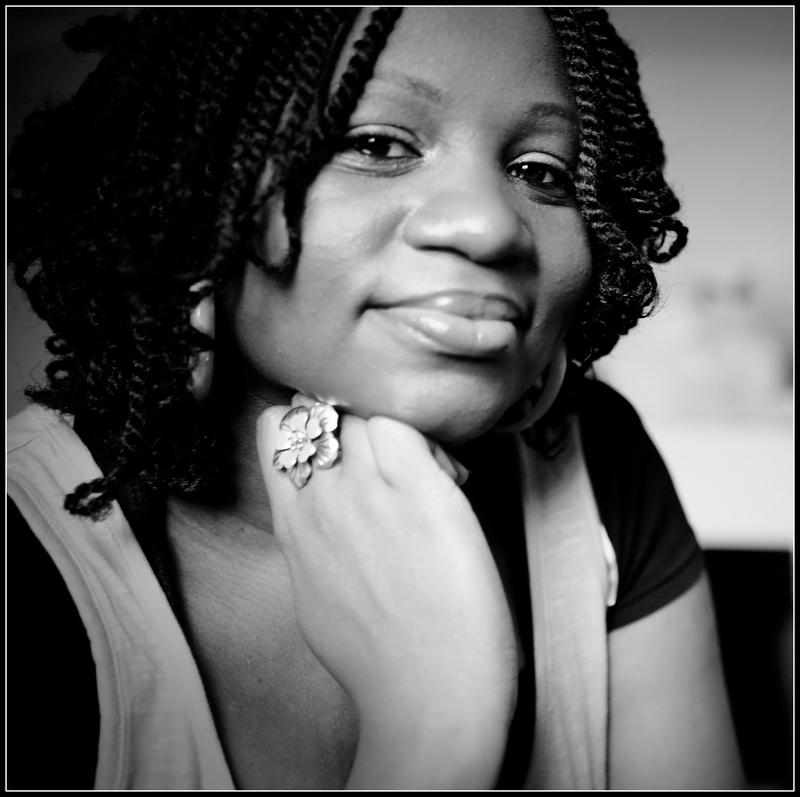 My name is Tolulope Popoola, I’m a your “Get Unstuck” Writing Coach and Publishing Consultant here @ Accomplish Press. I help aspiring authors like you to overcome obstacles, clear self-doubt and reconnect with your creative side, so that you can finally write and publish the book you want! I started writing way back when I was a little girl, about six years old. But I got teased in school by my friends who thought I was weird, so I stopped for a while. However, I never lost my love for reading and I read anything I could get my hands on. As a teenager, I kept diaries and journals, and writing was my therapy whenever I was upset. Much later, I left school went off to university and went down the path of Accounting and Finance in my career. However, I soon realised that I was not making use of my creative skills and doing the things I was passionate about. 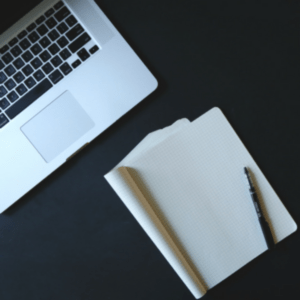 In 2006, I discovered blogging and voila! my creativity and interest in writing was rekindled! From then on, I started writing short stories and flash fiction, and learning everything I could about the writing and publishing industry. I took a writing class, I bought lots of books on writing, and subscribed to many writer’s groups. I made a lot of mistakes and learned from them, until finally, in 2008 I quit my job as an accountant to become a full-time writer. First, I started a writing blog and started posting articles, short stories and flash fiction. Then I created an online fiction series, In My Dreams It Was Simpler, which I co-wrote with seven other writers. In 2009, I wrote my first novel (which was never published). In 2011, I finished working on my other novel titled Nothing Comes Close which was a spin-off from the series. I tried to get it published traditionally, but I faced rejection from mainstream publishers. Not because my work was bad, but because they thought it was “ethnic fiction” and therefore wasn’t commercially viable. So I decided to do things my own way, and I founded Accomplish Press. I published my novel successfully in 2012, and it got good reviews so I’m sure I did something right. I’ve also recently published two collections of flash fiction stories; Fertile Imagination and Looking For Something. My work has been featured in several publications both online and in print, I’ve won awards, and even earned the title of Africa’s Flash Fiction Queen. As a Writing Coach and Publishing Consultant, I’m passionate about helping new writers through the initial stage of confusion and feeling overwhelmed when they are just starting out. I also teach aspiring authors all the tools and strategies they need to self-publish their manuscripts after they’re done with writing and editing. I’ve created this 12-week online coaching programme which is designed to help writers like you to beat procrastination, burst through writer’s block, provide you with the accountability and support you need, cut out the confusion and write your first draft in just 90 days! During this coaching programme, I’m going to show you how to write your novel, with the outlines and structures that I’ve put in place. I look forward to meeting you on the programme soon! PS: If you want to speak to me to ask questions or discuss any aspect of this programme, please book a complimentary 15-minute discovery session and I will be happy to chat with you. If you’re ready, go ahead and sign up now!